Wipro Limited is one of the leading global information technology services corporation. It's headquarter is situated in Bangalore, and "Abidali Neemuchwala" is the present CEO. Wipro works on the philosophy "think and implement" which helps the clients to do business better. Wipro limited (western India palm refined oils limited) founded by "M.H. Hasham Premji" on 29 December 1945. It is the western India Product Company, and it has come into existence with a business unit of vegetable oil. Later, it was diversified into the manufacturing of soaps and other consumer products services. It was ventured into IT and computing industry in 1981. Now a day, this Company is recognized globally for fast services, a strong commitment to sustainability and good corporate citizenship, they have over 160,000 dedicated employees serving clients across six continents. Analytics, Application development, cloud computing and IT infrastructure services, digital operation and platform services, and product engineering services. Note: The candidates who are looking for the full-time job will be considered only. Engineering candidates of 2018 batch are eligible to apply. The candidate shouldn't carry any current backlogs at the time of appearing for Wipro selection process. The graduation must be a Full-Time course recognized by the Central/State government of India. The candidate must have completed all the exit formalities in the previous organization before joining Wipro (if any). If the candidate has attended an interview within the past six months from the date of the new application, then he/she is not eligible to apply. If the candidate's application has terminated by Wipro for some reason, then the candidate is not eligible to apply. If the candidate misses the opportunity to give the interview for any reason in that case the candidate has the right to apply again and can attend the selection process. The candidate should have to carry all the original mark sheets, and Xerox related to SSC (10th), intermediate (12th) and Graduation are required to be produced at the time of interview. A copy of updated resume. As per my observation, the Company conducts three rounds for the selection process. Note: Every round is the elimination round so the candidate must have to clear all these rounds. 1) Find the synonym for ostentatious. 2) Find the antonym for "focus." Fill in the blanks by using the given set of words to make the complete sentence. 3) The immensely ______ title character was the epitome of greed: he was so ______ that he precisely sold his daughter to the highest bidder. 4) Fill in the blank: The person declined to fawn_________ the feet of his master. Question 5 and 6 consists of two words each that have a specific relationship to each other, select the words pair that has the same relationship as the original pair of words. Which one is the most similar word in meaning to the given word? 8) After six months of coding practice, he has become much "Deft" with the technology. Which one is the most opposite word in meaning to the given the word? 9) We should work on this section and "intensify" the changes as soon as Possible. A person upset about something that happened previously. The central government is beating around the bush when the citizens ask the reason for continuously increasing the price of petrol and diesel. It depends upon you to make the next decision or step. Answer: It is up to you to make the next decision or step. Ball is in your court now you have to decide what you should have to do. I decided that come hell or high water I will become a Cricketer. They have a chip on their shoulder that for being rejected in the dance competition. To perform Action or for communications need more than one person. To be in low spirits. To hear rumours about something or someone. Answer: To hear rumours about something or someone. I heard it on the grapevine that the price of the petrol had reached up to 100 rupees per litre. Ravi is in the doldrums after he is getting fail in the exam. 1) There is a family of six persons L, M, N, O, P, and Q. They are the Lawyer, Doctor, Teacher, Businessman, Actor, and Director. Two married couples are in the family. O, the businessman is married to the Lady Teacher. The Doctor is married to the Lawyer Q, and the Director is the son of M and brother of P. N, the Lawyer is the daughter-in-law of L. P is the unmarried Actor. L is the Grandmother of Q. Which is the profession of L? The sum of all three will be 33 which are not correct as per the given question. The sum of all three will be 36. Hence, 11 is the right option. 3) Sanjay invested an amount of Rs 12,960 for two years on compound interest and received an amount of RS 17,640 on maturity. What is the rate of interest per annum? 4) The tank has six pipes fitted in them. Some of them are for inlet purpose and rest for outlet purpose. Each inlet pipe can fill the tank in 12 hours, and each outlet pipe can empty the tank in 8 hours. On opening all the pipes, an empty tank is filled in 12 hours. How many inlet pipes and outlet pipes are there? let's take A = 4 and B = 2. Then the condition will be full-filled. Time taken by A and B will be a and a + 5 resp. x = -3 or x = 10. Time can't be negative, i.e., x =10. Hence the pipe X can fill the reservoir in 10 hours, and Y can fill it in 10+5=15 hours. 6) A dealer buys dry fruits at the rate of 200, 160, and 120 per kg. He bought them in the ratio 24:30:40 by weight. He in total gets 20% profit by selling the first two, and at last, he finds that he has no loss or no gain in selling the whole quantity which he had. Calculate the percentage of loss that he suffered for the third quantity? 7) A boat takes 38 hours for traveling downstream from point X to point Y and coming back to a point Z midway between X and Y. If the stream velocity is 4km/h and the boat speed in still water is 14 km/h, find the distance between X and Y? But, it takes him double as long to swim up as to swim down the river. 10) Seats for Chemistry, Mathematics, and Computer science in a school are in the ratio 10:14:16. The management wants to increase these seats by 40%, 50%, and 75% respectively, find the ratio of increased seats? Let the number of seats for Chemistry, Mathematics, and Computer science: 10x, 14x, and 16x respectively. The ratio will be 14:21:28 or 2:3:4. P is the mother of Q. Q is the sister of R. S is the son of R. T is the brother of S. U is the mother of T. V is the granddaughter of P. Q and R is the only two children of W.
1) How is W related to U? 2) How is T related to R? 3) Who is the mother of G? 5) Complete the given series. 6) If we interchange the position of the first and third letters of all the words, how many words will form meaningful English words? Hence, there is one meaningful word. 7) If all the letters of the words are arranged alphabetically (within the word), how many words will remain the same? Hence, D is the correct option. 9) Which pair is not following the series? 10) Look at this series: 57, 57, 40, 40, 23, 23,... What will next? Note: You need to practice this type of questions. Wipro gives two coding questions (based on automata and pattern) in the written round to check the coding skills. Out of the two, one program should compile successfully to go for next round of interview. Note: The candidate who is familiar with the basic concepts can easily crack the logic of the program. Note: You need to practice the programs as more as possible. 1) What are the functionalities of an operating system? The operating system shares the Computer's memory and sharing of the central processing unit time by various applications and peripheral devices. An operating system provides a user interface, i.e., graphical user interface and command line. An operating system includes functionality for booting the computer. Perform some basic tasks, i.e., managing the peripheral devices. It provides file management which refers to the way that operating system stores, retrieves, manipulates, and saves data. 2) What is the difference between UNIQUE key and PRIMARY key constraints? A table can contain multiple unique keys. A table can contain only one primary key. NULL values are allowed. NULL values are not allowed. It helps to maintain a unique data in a column of a table. It helps to identify a unique row from a table. 3) How can you delete the duplicate row in a table? In case of duplicate rows, you have to be more careful at the time of fetching records from the table. To overcome this problem, we use a DISTINCT keyword. It is used along with a SELECT statement to eliminate all duplicate records and fetching unique records. Let us take an example of the STUDENT table. Firstly we should check the SELECT query and see how it returns the duplicate percentage records. Now let us use a SELECT query with DISTINCT keyword and see the result. This will eliminate the duplicate entry. 4) Define the SQL Profiler? SQL Profiler can be defined as the profiler utility which is mainly used to track connections to the SQL Server and also determine the activities such as which SQL Scripts are running, and which one is getting failed, etc. 5) What is stored procedure? Explain with example. Stored procedures are a batch of SQL statements that can be executed in a couple of ways. Most of the DBMS support stored procedures; however, not all do. The stored procedure increases the reusability as here the code or the procedure is stored into the system and used again and again that makes the work easy. Create a table and use this syntax for example. 6) What is a process and what is a thread? A thread is a lightweight sub-process, the smallest unit of processing. It is a separate path of execution. Threads are independent that means if there is an exception in one thread, it doesn't affect other threads. It uses a shared memory area. The process is heavyweight and can consists of multiple threads. It is a small part of a program. 7) What are the advantages of a thread? How does the multithreading look like? It minimizes the context switching time. By using thread, we can get the concurrency within a process. Thread allows utilization of multiprocessor architectures to a greater scale and efficiency. A process which executes multiple threads simultaneously is known as multithreading. A thread is a lightweight sub-process, the smallest unit of processing. One process may contain more than one thread and execute simultaneously is known as multi-threading. 8) What are Multi-Processing and Multitasking? Multitasking: As the name indicates multiple tasks run on a single CPU. We use multitasking to utilize the CPU. Multi-processing: Multi-processing refers to the ability of a system to support more than one central processing unit at the same time. Multithreading: As the name indicates multiple threads run concurrently. 9) What are stack and Queue and its applications? The stack is an ordered list in which, insertion and deletion can be performed only at one end that is called a top. The stack is a recursive data structure having a pointer to its top element. Stacks are sometimes called as Last-In-First-Out (LIFO) lists, i.e., the element which is inserted first in the stack will be deleted last from the stack. A queue can be defined as an ordered list which enables insert operations to be performed at one end called REAR and delete operations to be performed at another end called FRONT. The queue is referred to be as the First-In-First-Out list. For example, people waiting in line for a rail ticket form a queue. The queues are widely used as waiting lists for a single shared resource like a printer, disk, CPU. The queues are used in the asynchronous transfer of data (where data is not being transferred at the same rate between two processes), e.g., Pipes, file IO, sockets. The queues are used as buffers in most of the applications like MP3 media player, CD player, etc. The queues are used to maintain the playlist in media players to add and remove the songs from the playlist. The queues are used in operating systems for handling interrupts. 10) What is indexing, what are the advantages and disadvantages of it? Indexes are special lookup tables. It is used to retrieve data from the database very fast. An index in a database is just like an index in the back of a book. Primary index, secondary index, and clustering index. An index makes it possible to retrieve data quickly. Index's use in queries usually results in much better performance. Index guarantees uniquely identifiable records in the database. Indexes decrease the performance on inserts, updates, and deletes. Indexes take up space (this increase with the number of fields used and the length of the fields). Databases will have monocase values in fields that are indexed. 11) What is De-Normalization where does it have? Denormalization is the process of boosting up database performance and adding of redundant data which helps to get rid of complex data. Denormalization is a part of database optimization technique. This process is used to avoid the use of complex and costly joins. Denormalization doesn't refer to the thought of not to normalize instead of that denormalization takes place after normalization. In this process, firstly the redundancy of the data will be removed using normalization process than through denormalization process we will add redundant data as per the requirement so that we can easily avoid the costly joins. 12) What are the Different Objects in DBMS? A database objects use to store or reference data in the database. Any statement which is written with CREATE Command is known as the database object. View: This object is used to create a view in the database. It is a logical table based on another view. A table on which view is based is called the base table. Table: we can create a table in a database by using the CREATE TABLE statement. Sequence: This object command used to create a sequence in the database. It is a user-created database object which is shared by multiple users to generate unique integers. Index: A database object can create indexes in the database by using an index. Indexes are used for fast retrieval of rows from a table. 13) What are Self-Join and Outer Join, where do you use it? Self-Join: A self-join is a join which joins the table with itself, means that each row of the table is combined with itself and with every other row of the table. The table contains a FOREIGN KEY which references its PRIMARY KEY. It shows the one-to-many relationship in a table also known as a unary relationship. Now come to SQL outer join, all the content of both tables is integrated together either they are matched or not. 1. Left outer join (also known as left join): this join returns all the rows from left table combine with the matching rows of the right table. If you get no matching in the right table, it returns NULL values. 2. Right outer join (also known as right join): this join returns all the rows from right table are combined with the matching rows of left table .If you get no column matching in the left table .it returns null value. 14) Give a SQL Query which uses Outer Join. 15) Explain some differences between TRUNCATE and DELETE commands with their syntax? There is a slight difference b/w delete and truncate statement. The DELETE statement only removes the rows from the table based on the condition defined by WHERE clause or remove all the rows from the table when the condition is not specified. But it does not free the space containing by the table. But if you do not specify the WHERE condition, it will remove all the rows from the table. The TRUNCATE statement: It is used to delete all the rows from the table and free the containing space. 16) Define memory management in C.
When you run a program, it loads into your computer memory and starts execution by sending and receiving the instructions from the computer's processor. When your program needs to run a function, then it loads at another part of the memory till it runs and releases that memory when the task is complete. Now, talk about the concept of dynamic memory allocation in c language, which enables the C programmer to allocate memory at runtime. Dynamic memory allocation in c language is possible by four functions of stdlib.h header file. 17) What are the steps involved in designing complete software? To build software, a programmer should have to follow the SDLC. Planning: Plan about the scope, approach, functionalities, etc. Designing: Design a prototype to check the architecture of the project. Coding: coding as per designing. Testing: testing is done to check whether the actual result meets the required result. 18) What is the difference between Abstract classes and interface? Java interface should be implemented using the keyword "implements"; A Java abstract class should be extended using the keyword "extends." An Interface can extend interface only; Abstract class have two properties, it can extend only one java class but implement more than one interface at a time. 19) What is the property of a class? We can define property in a way that property is a member of a class that provides the access of an object or a class to an attribute. For e.g., Properties include the length of a string, the size of a font, the caption of a window, the name of a customer, and so on. 20) Define precondition and postcondition to a member function. A post-condition is a condition that must be truly guaranteed after a method is finished. If all the preconditions of this method are satisfied, then postconditions will also meet for the same method. No guarantee for behavior if the preconditions not meet. 21) How can you sort the elements of an array in ascending order? C program to sort the element of an array in ascending order. 22) How can you sort the elements of an array in descending order? C program to sort the element of an array in descending order. 23) How is macro execution faster than a function? Macros can define before the main method or within the main method. Macros are pre-processed that means all the macros are processed before the compilation of the program, and the functions are processed after compilation of the program. 24) Write a program to sort the string by using bubble sort. Bubble sort: Bubble sort is a technique by which you can print the elements of an array in ascending or descending order. Bubble sort is used to sort string too. 26) Write a program to find factorial of a number. 27)	Write a C program for Fibonacci series. 28) What is the logic behind reverse of a string in java? 29) Name the operators that can't be overloaded. These are the following operators that can't be overloaded. In an object-oriented programming language, polymorphism is a characteristic which means one name with many forms. We can say that polymorphism shows different behavior in a different scenario. Compile time polymorphism: It is known as method overloading. Runtime polymorphism: it is also known as method overriding. 31) How is C++ struct different from C++ class? If you don't specify the access modifier, visibility (public, private or protected) of the members will be public in the struct and private in the class. DOM stands for Document Object Model. It is a programming API for the HTML and XML documents. DOM provides the logical structure of the document and the way in which a document is accessed and manipulated. DOM represents a table in the hierarchical form. 33) Specify the characters which can be used as the second character of an identifier, but not as the first character of an identifier? Any number within the range of 0 to 9 can be taken as the second character of an identifier, but as per restriction, it can't be treated as the first character on an identifier. 34) What Is The List Interface? Positional Access: Manipulate elements based on their numerical position in the list. Search: Search for specified objects in the list and return its numerical position. List Iteration: Extend Iterator semantics to take advantage of the list's sequential nature. Range-view: Perform arbitrary range operations on the list. 35) What Is The Vector Class? Vector implements List interface and maintains insertion order. Array list and vector class both are similar but with few differences. Vector is synchronized: Vector is slow because it is synchronized, i.e., in multithreading environment; it will hold the other threads in runnable or non-runnable state until current thread releases the lock of the object. Vector increments 100% means doubles the array size if the total number of elements exceeds than its capacity. 36) What is an Iterator Interface? An iterator is a Java interface, and it has methods to iterate on elements of collections. You can create your iterator object by calling iterator() method present in collection interface. hasNext(): To know if any other elements left in the collection. next (): Returns the next element. remove (): To remove the current element from the collection(better not use that method). 37) What is the major difference between yield () and sleep ()? Sleep () method in Java has two variants one which takes millisecond as sleeping time while other which takes both millisecond and nanosecond for the sleeping duration. Yield () method pause all the currently executing thread, and give a chance to execute those threads or processes that need to be run. The current thread will continue to run again if no other thread is available to execute. 38) What Are Wrapped Classes? Wrapper class in Java provides the mechanism to convert primitive into object and object into primitive. The eight classes of the java.lang package is known as wrapper classes in java. 39) What is garbage collection? Does it guarantee that a program will not run out of memory? Garbage Collection is a process of reclaiming the unused runtime memory automatically. i.e., it is a way to destroy the unused objects. To do so, we were using free () function in the C language and delete () in C++. But, in Java, it is performed automatically. So, java provides better memory management. In some cases, programs use up memory resources faster than they are garbage collected. We can also create objects "without new keyword" in programs that are not subject to garbage collection. That's why garbage collection doesn't guarantee that a program will not run out of memory. 40) What is the Name of the immediate superclass of the Applet class? A panel is the immediate superclass of all Applet class. The panel allows us to format the string. A panel must have a specific layout out of FlowLayout, BorderLayout, GridLayout. If a Layout is not specified, then the default will be a FlowLayout. 41) What Is A Native Method? The native is a keyword applied to a method to show that the method is implemented in Native Code (c, c++) using JNI (Java Native Interface). Hence, it is also known as foreign methods. It acts as an interface between Java Native Interface (JNI) and other programming languages. It is a modifier that is not applicable to classes and objects. Native method declaration should compulsory ends with ";" because its implementation is already given. 42) What are the collections API? All the operations that you perform on a data such as searching, sorting, insertion, manipulation, deletion, etc. can be achieved by Java Collections. 43) List out some modifiers that may be used with an Inner class that is a member of an Outer class? 44) What is the name of the method of the component class which is used to set the position and size of a component? setBounds () method is having four coordinates (x, y, width, height) to specifying the position and size of a GUI component . 45) Which Java.util Classes and Interfaces Support Event Handling? 46) How many number of bits are used to represent a character in Unicode, ASCII, UTF-32, UTF-16, And UTF-8 characters? Unicode requires 16 bits (2 bytes) to represent a character, ASCII requires 7 or 8 bits, and UTF-8 requires 8, 16 and 18-bit pattern. UTF=16 requires 16 bits and 32 bits pattern. 47) What are the restrictions for the location of a package statement within a source code file? A package must be appeared in the first line of the program source code, excluding blank lines and comments. 48) What are the major differences between preemptive scheduling and time slicing? Under primitive scheduling, the highest priority task executes until it enters the waiting or dead states or any other higher priority task comes into existence. Time slicing: A task executes for a fixed period of time and then reenters again in the pool of ready tasks to execute the remaining task later. The scheduler then determines that which task should execute next, based on priority and other factors. 49) Give the name of three component subclasses that support painting. The canvas class, the Frame class, and Applet class are the subclasses which support painting. 50) When a Readline () reach at the end of file then what will it return? Readline() will return a null value when it would reach at the end of the file. 51) What is the name of the immediate superclass of the Dialog class? The window class is the immediate superclass of Dialog class. 52) Define Order of precedence and Associativity, how are they used? Order of precedence is used with the operators. When a number of operators are used in an expression, it evaluates with the priority of the operators. Associativity is used to check whether an expression is evaluated from left-to-right or right-to-left. Finally, (0 && 4) executes and gives 0 (false). Here, operators * and / have the same precedence. Both "*" and "/" are left to right associative, i.e., the expression on the left is executed first and moves towards the right. 53) What is the rule for a catch or declare method declarations? Catch block catches any exception that results from the try block. If a checked exception is thrown within the body of the method, the thrown exception must be caught by the method (with the help of try/catch block) or declare it in its throws clause. 54) What is the top class of the AWT Event Hierarchy? java.awt.AWTEVENT class is the highest-level class of AWT event hierarchy. 55) When is a thread created and started, what is its initial state? A thread is created and started with its Initial state called "ready" state where a thread is ready to run. 56) Is it possible to declare an anonymous class which implements an interface and extends a class? Yes, an anonymous class can extend its superclass or implement an interface but cannot use both simultaneously. 57) Define Synchronization and why is it important? Synchronization is a process which provides a feature by which access of multiple threads to any shared resource can control. Hence, Java Synchronization is a better option for restriction. i.e., It allows only one thread to access the shared resource. 58) Is Sizeof a Keyword? Sizeof is an operator in C++ and a keyword in C, but it is not available in java. 59) What is a priority of task and how is it used in scheduling? The entire task can't execute simultaneously so that a scheduler assign priorities to all tasks for its execution. Priorities can be high or low depending on the task's importance, and the integer values determine it. Higher priority gets CPU for execution first. 60) Describe the three levels of data abstraction? Data abstraction in DBMS is a process of hiding irrelevant details from users. Because database systems are made of complex data structures, so it makes accessible the user interaction with the database. Physical level: It is the lowest level of abstraction. It describes how data are stored. Logical level: It is the next higher level of abstraction. It describes what data are stored in the database and what the relationship among those data is. View level: It is the highest level of data abstraction. It describes only part of the entire database. 61) What is Hashing technique in the data structure? Hashing is a faster searching technique. The process of mapping a large amount of data item to a smaller table with the help of a hashing function is called hashing. In other words, hashing is a technique to convert a range of key values into a range of indexes of an array. In terms of java: Hashing is a way to assign a unique code for any variable or object after applying any function or algorithm on its properties. My name is Mohd Pervez, and I am from Delhi. Now if I talk about my education, I have done graduation from Krishna engineering college Mohan Nagar with an aggregate of 70%. I have done my 12th schooling from Delhi Public School and 10th schooling from Victoria Public School Yamuna Vihar with an aggregate of 60% and 70% respectively. Now come to my technical skills: I am quite good in C, Core Java, and Software Testing. Now if I am talking about my family background, we have 8 in all. My father is a businessman, and my mother is a housewife. I have two elder brothers, both are graduated from Delhi University and currently involved in family business. Now come to my hobbies, I am fond of playing cricket, listening to music, and internet surfing. That's all about me sir/mam. Note: If you want to add more then you can tell about your strength and weakness too. This question is one of the most important questions which is asked in each and every interview. Sir, I am fresher, I have no experience, but I have positive thinking, positive attitude. I want to learn new things; I want to explore my knowledge and skills more and more that I have. I have done training from TCS ion on the software testing domain too. I am a goal-setter; I have set my goals for a task and work accordingly. I never give up responsibility in between. I love to work in a team. These are the following reasons that provide me the confidence and make me a perfect candidate for selection. 3) Where do you see yourself after five years? Well, this is also a frequently asked question in every interview. Some of the candidates answer this question in a way; I would like to see myself at manager post. Some of the candidates say I would like to see myself as your replacement. This type of answer treated as a threat by the interviewer. Try to avoid these things. Sir I would like to enhance my skills more and more. This will make me a professional person who has all the skill set and experiences. I would like to see myself in a good position in my domain. 4) What is your short-term goal? You have to answer this question in the following way. As a fresher graduate, I need to start building a strong presence in the industry, which helps mine to accumulate the experience and skill set for a bright future. I want to work for a company that I respect and do a job that I enjoy. 5) What is your Long-term goal? My long-term goal is to look at myself in a good position, respect in the industry, and responsibilities in my core domain. I would like to get success not in term of money only but also in term of knowledge and working experience, etc. 6) What is your biggest mistake? This question is asked in the interview to check your ability that how quickly you can recover yourself. You should have to start with the most significant weakness that diverts you directly and let you go downwards. If someone wants help then I never say no whether I am comfortable or not, left out some opportunities, try to explore more and more. I gets diverted easily, sometimes strive for shortcuts to achieve a goal. These are some biggest mistake that I try to avoid. Everyone knows about his/her weakness and strength. You have to answer this question in a way that makes you different from others. You have to leave a good impression in front of the interviewer. I have positive thinking, positive attitude. I have practical knowledge too. I can make a relation with others quickly. I am polite in nature and can handle the organization's pressure. I give my 100% to this organization. Work with a goal that is my organization should grow upward more and more so that it has been listed in the top of the IT MNC companies at any cost. 8) What are your most significant weaknesses? You have to answer this question positively so that the interviewer could not mark you for your weakness. If someone wants help then I never say no whether I am comfortable for help or not, sometimes go for shortcuts to achieve a goal very quickly. These are my greatest weakness that I want to overcome these as soon as possible. 9) Can you work under pressure? The best answer to this question is yes, doesn't matter you are in under pressure or out of pressure. An employee should give their 100% to their work. Well, Working under pressure is an excellent trait to have. Though, the pressure is created when the employees don't give their full effort to work. The best employee is one who could give their full effort in any situation and never give up any task in between. 10) Tell us about your interest and hobbies? Most of the time this question is covered in the introduction part, but some interviewer could ask it separately to check your area of interest. You have to tell only the field of interest and hobbies very clearly. My area of interest is software testing, I have done training on software testing from TCS ION which is a training partner of TCS. Now if I talk about my hobbies, I am fond of playing cricket, Listening to music, and internet surfing. 11) Describe your management style. My management style varies according to the employees. All the employees do not have the same efficiency to do work. So work should be assigned according to employee's work efficiency and their record. According to me, focus on hiring the people having analytical skills, excellent problem-solving skills, and should have excellent communication skills. People should be a smart worker and having an ability to work in a team. These are some management style which I will prefer. 12) Why do you want to work at Wipro? In this question, you should have known about the company so that you can give a relevant answer. As a fresher, I want a great environment to learn industrial work, a career growth and want to enhance my skills and knowledge that I have. I need an organization that makes my dream comes true. We all know that your company is listed in top MNC's, having an excellent environment for learning new things and comes it to use, having an excellent scope for career growth, etc. Your company provides all the facilities that I want; because of this reason I want to join Wipro. 13) List out some qualities that you would like to see in your boss. Though, this is an important question. You have been very generic and limited while answering this question. You should have to be very careful about the mention traits. i.e., you should not have to mention traits that are not possible as a human being. I want my boss as a team leader of my team in which I have the freedom to express my idea. He should have a positive attitude, sense of humor and must have the quality to communicate with team members. Boss has to motivate their employee's in a critical situation with his attitude, guidance, speech, and feedback." I want to work with a team under his leadership. I need respect and value that I deserve from him. He must care for the whole team members and encourage more creative work by honing the skills that I have." My ideal boss should be very energetic, positive attitude, positive thinking, polite, and knowledgeable about the work. He should have an ability to handle the critical situation, able to guide the employees in the right way so we can perform our best for better result for the company". My boss should focus on his duties, should remark on our work, fair with everyone and discuss the success or failure frankly". 14) What is your weak point that you need to improve in your skills? This is also a common interview question in which the interviewer wants to check your confidence. You have to answer this question very carefully. As a fresher, I have skills and knowledge that are relevant for entry level. You should set a high standard for yourself and try to meet them. I need to use my skills in real time industrial work so that I could learn new things and explore my skills and knowledge as more as possible. 15) What do you know about Wipro? When did it come into existence? 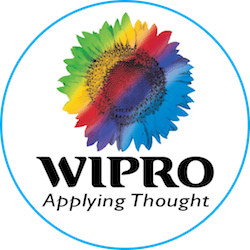 Wipro is an Indian information technology services corporation. Its philosophy is to think and implement, help clients to do business better. This company recognized globally for fast services, a strong commitment to sustainability and good corporate citizenship, we have over 160,000 dedicated employees serving clients across six continents. 16) What is your salary expectation? It is very frequently asked interview question. According to your performance, some companies give you a chance to negotiate about salary and some companies having a fixed salary for entry level. So you have to answer this question as "As per company norms." Still, if the interviewer asks for your expectation, then you have to answer according to your expectation. Remember that you are fresher so tell your expectation accordingly. 17) I have done from my side; do you have any question for me? Well, this would be the last question which has been asked by the interviewer whether it has a technical interview or HR interview. You have to answer this question "Yes," and ask an intelligent question which influences the interviewer to let you go at least for the next round. For example: What would be the next round? Is there any bond that we have to sign? Etc. 18) If anybody doesn't cooperate with your team what are the steps you would take. This is a big problem for the organization. When you are dealing with problematic employees in your team then the work productivity goes downward, frustration rise, the customer gets upset. You have to follow these steps to handle these types of team members. Don't ignore this problem: Generally, the manager will ignore the problematic staff. Ignoring the situation is not a solution. So you try to avoid ignorance. Intervene as soon as possible: This problem affects the production, hence should have to take action as soon as possible. The manager needs to gather information from an employee that what is the reason behind it, and personally analyze the issue. Reach the problem personally: Manager needs to take the employee into a conference room or office (away from the others) and try to locate the problem. The manager tries to know whether the employee is aware of this issue if he/she has not aware of this issue than it is a responsibility of the manager to let him know about the problem. Once the manager let him aware of the problem, and the employee begins to understand that this negative behaviour is real, and experienced by others which are not right for the organization. Then the employee tries to get back on track and think for the organization. If all possible ways get fail, then termination may be necessary. If the employee continuously shows inadequate behaviour and don't try to cooperate. In this case, termination is required. 19) Are you willing to relocate? We all know that Wipro is a huge, rapidly growing company which provides service to clients in 175+ cities. So definitely no one wants to leave this company easily. You have to answer in two ways: You can say that yes I am definitely willing to relocation. This shows that you will follow the necessary terms which are good for the company and your team. If you are not wanted to relocate, then you don't have to say that you are not willing to relocate. Instead of saying "no," you have to use the sentence, "I would like to continue in this city because my family is here, but this position is a great opportunity for me. I couldn't leave this opportunity. If relocation is required, then I would definitely consider it". 20) Are you comfortable with working over weekends? As we all know that Wipro is listed in top MNC's, so as per my decision, I would say "yes," whenever the organization needs me, I will definitely be there either in night shift or weekends. As per my observation, the company's growth is directly proportional to employee's growth. You have to cooperate with the company than you will get a good result definitely.